It started with dragonflies. I remember being amazed that something so small could make a ripple on the water, or its beating wings could be felt when it rested in my hand. As I grew older I started to become aware of a different kind of energy, but I was without the means to understand this awareness or its effects on me. In 2004, my husband and I were involved in a serious car accident. This left me struggling with pain every day. My Mom introduced me to Reiki. She had just completed her Usui Level I and stated how helpful it was for her Rheumatoid Arthritis. After taking Level I, I noticed a significant difference, not only in my physical health, but also in my spiritual and mental well-being. I continued with Level II and then advanced Reiki Level III. Feeling confident, I challenged myself to get back up on a horse. Having just met two wonderful people who had therapy horses, I booked my first riding session. It was wonderful and when I got off my horse Chief, I did my favorite part of riding, I groomed the horse. If felt wonderful and meditative. The owner of Chief stated that he was responding to me in the same way that he responded when he received Reiki. That was over a year ago and I continue to volunteer my hours to this wonderful herd as well as to a local horse rescue ranch. In November 2014 I received my Animal Reiki Certification with Animal Reiki Source (Kathleen Prasad) and am a recognized practitioner in the Animal Reiki Source Practitioner Directory. I am also a recognized Usui Reiki Practitioner as well as a recognized Animal Practitioner with the Canadian Reiki Association. 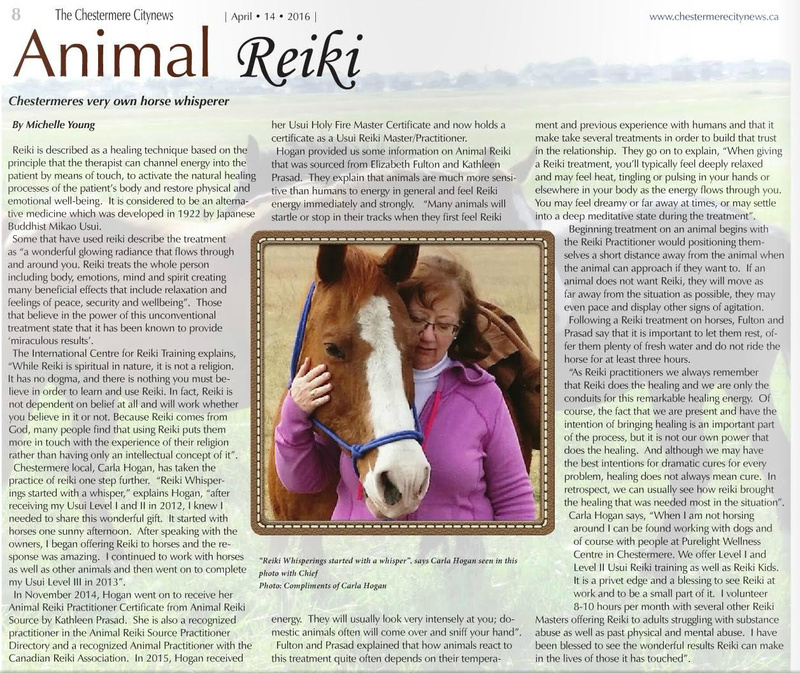 Although my Reiki Practitioner beginning was with horses, I also work with people. At present, I offer Reiki in a local wellness clinic as well as offering after hour Reiki in the client’s home. Once a month, two wonderful Reiki Masters and I offer volunteer hours to abused women and adults suffering from addictions. It has been a blessing to witness Reiki’s small miracles that have turned into life changes. 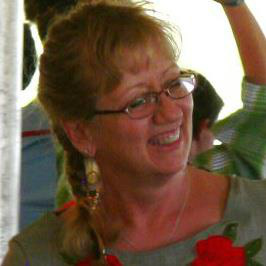 I have been blessed with a wonderful marriage, three children and three beautiful grandchildren. My family and friends have been very supportive of my new role as Reiki Practitioner. I feel blessed to be able to share this wonderful gift of Reiki to the universe. Usui Reiki Master Holy Fire /Teacher/Practitioner; Reiki Animal Practitioner; Indian Head Massage Therapist; Aroma Touch Therapist; serving the Chestermere, Langdon, Strathmore and Calgary area.